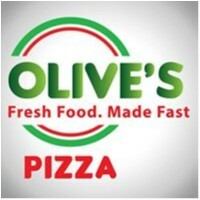 Olive's Pizza joined our Mission to help provide access to “Clean Water for All by 2030”. This Mission was initiated by the United Nations. A big thank you to Olive's Pizza’s team and customers for joining this extremely important mission on 29 November 2017. In deciding to join the Olive’s family, you will become part of a group which will strive to grow and provide quality food and service to your selected community. Your contribution to Olive’s will go beyond operating a new branch. In order to flourish, the group will work as one to maintain a high standard in cuisine. As we believe that we oer an unique product in our menu selection, the target will be for all existing and potential branches to supply this to their local markets, and introduce new customers to an innovative world of flavour. Successful marketing initiatives will be used to maintain constant growth across all Olive’s franchises. Potential for new franchises are currently limitless, as there is little competition for the variety we can oer. With an ever-changing menu, we can ensure that even our regular customers will be in for a tasty surprise as they continue to enjoy our fine selection of freshly made pizzas. Our vision is for Olive’s to grow into a national brand, with further growth available overseas. Interest has been expressed in Australia and India, providing a potential global markey of consumers who have yet to experience the wonderful assortment of cuisine we currently oer. If this sounds like the opportunity for you, we invite you to read further and discover just how you could own your very own Olive’s franchise.